Three elderly patients with advanced atherosclerosis demonstrated congestive heart failure, severe cerebral changes, and Cheyne-Stokes respirations. They also exhibited rhythmic pupillary changes (hippus) with sustained mydriasis during hyperpnea. Hippus did not appear until there had been severe cerebral damage, as confirmed by thorough neurological evaluation and later autopsy. 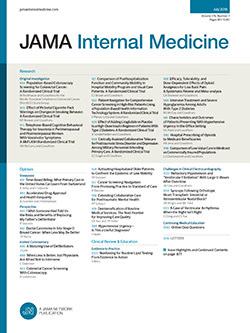 Limited cardiopulmonary studies revealed their respiratory pattern could not be explained by circulation time abnormality alone and their rhythmic variation of sustained respiratory alkalosis was more severe (a pH of 7.69 with a PCO2 of 9 mm Hg) than previously reported in Cheyne-Stokes breathing. Cheyne-Stokes hippus appears to be due to peripheral adrenergic effect induced by hypoxia upon denervated postganglionic neurons since inhalation of oxygen results in its prompt disappearance, without ablating the rhythmic respiratory activity. Cheyne-Stokes hippus is a rarely appreciated and probably not unusual but ominous finding suggesting the existence of severe central nervous system damage.